From despair and hopelessness: save us, Lord. From denial and paralysis: save us, Lord. From indifference and fear: save us, Lord. From captivity to sin and thrall to death: save us, Lord. In mercy you came to dwell among us, sharing bread and breath, dining with sinners, forgiving enemies, and caring for creation with the power of God's own love. Hear us now, and heal us from the sin that has twisted us, that we might be upright with you and with one another, in Jesus' name. Amen. Lloyd Gold died last Friday. Maybe you knew him, or someone like him. At his funeral, one of his friends observed that Lloyd was “not normal.” And thank God for that. You might have expected to see him in the pages of Faulkner or Flannery O’Connor, the final gone-astray scion of a once grand Southern family. 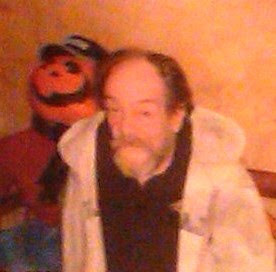 Instead, Lloyd was a fixture of Hoboken and Jersey City street life for the past 20+ years. His funeral was in the basement of a funeral parlor in Newark. They were going to “throw him away,” until a long-time friend stepped in to make sure that Lloyd was buried right. I don’t know that Lloyd would have cared that much, but it was good for the nine people who came to see him off. LAST MINUTE UPDATE: In less than 90 minutes, the state of Georgia is scheduled to execute someone whose guilt is very much in doubt. Any hope for intervention rests in the hands of Chatham County District Attorney Larry Chisolm and Judge Penny Freesemann. Please sign the petition asking them to stop what can never be reversed: an execution. 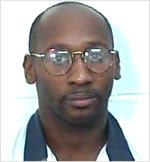 I do not know if Troy Davis is guilty or innocent. And that is a problem. I believe we should not be in the execution business at all. But we certainly can't be killing people when guilt is not certain. Dag Hammarskjöld (July 29, 1905 - September 18, 1961) was descended from a family line of Swedish knights. The youngest son of the Prime Minister of Sweden, Hjalmar Hammarskjöld, a member of the Hague Tribunal and the Nobel Foundation, he was raised in an atmosphere steeped in an ethic of public service. As we recall terrors past and present, grant that we may remember your response: the way of the cross, the resurrection from the dead, and the sharing of bread. Heal our suffering world, and grant that we may not be marked by evil, but transformed by the power of your redeeming love, in Jesus Christ, our Lord. Amen. Isaac Watts, "O God our help in ages past," from The Psalms of Da­vid, 1719. Stephane Jaspert, "Two candles" (1982) after Gerhard Richter, used by permission.